This 7 piece nail clipper set includes a nail file, two nail clippers, an ear pick, a cuticle pick, a scissors and a tweezers. Features with a button leather case for easy carrying.Tools are made of high-carbon steel. The travel set case will give you a lot of convenience to take it with you anywhere at any time. It must be a great promotion gift for your next trade show or any other events. 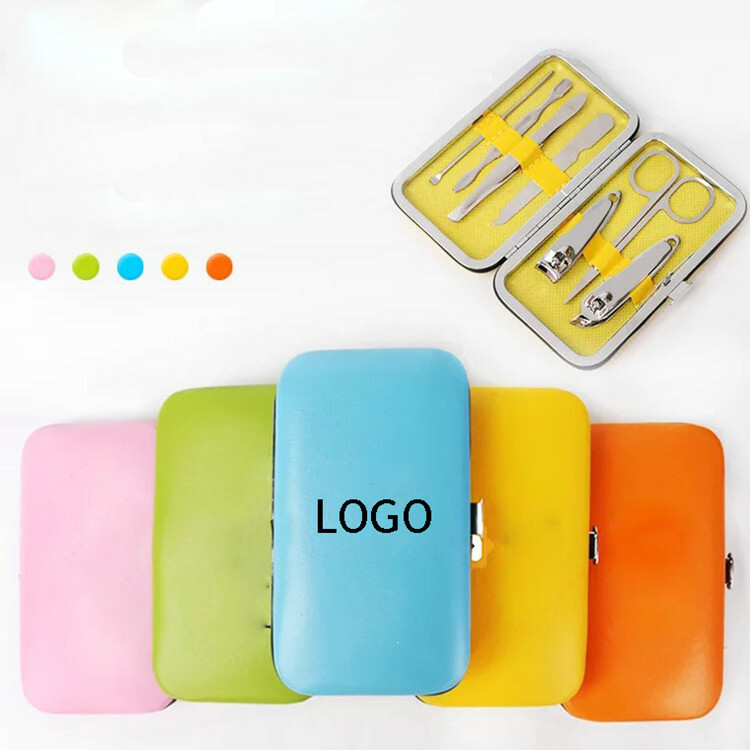 Logo can be imprinted on the case, and there are many colors to choose. Package: 1 pc/opp bag, 250 pcs/ctn, 55 lbs/ctn.